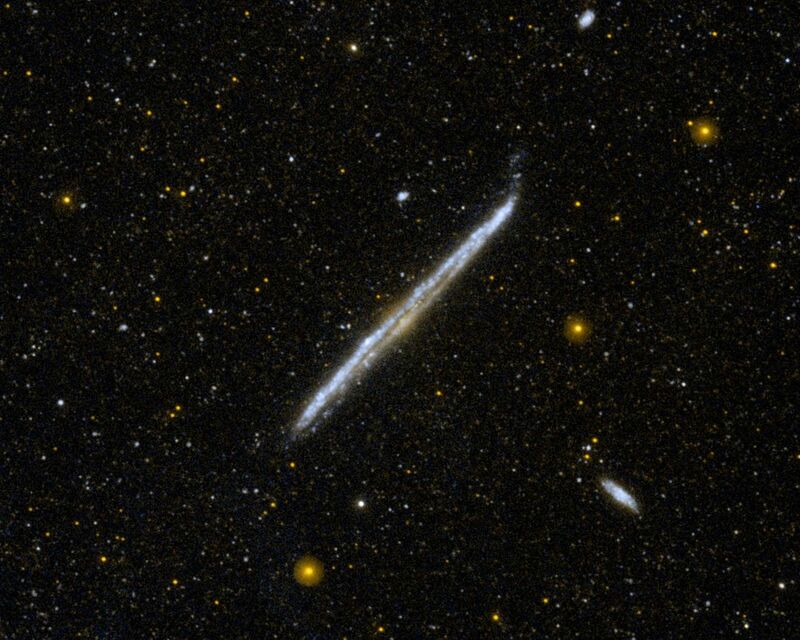 This image from NASA's Galaxy Evolution Explorer shows NGC 4565, one of the nearest and brightest galaxies not included in the famous list by 18th-century comet hunter Charles Messier. From Earth, we have an edge-on view of this galaxy, located about 30 to 50 million light-years away in the constellation of Coma Berenices. 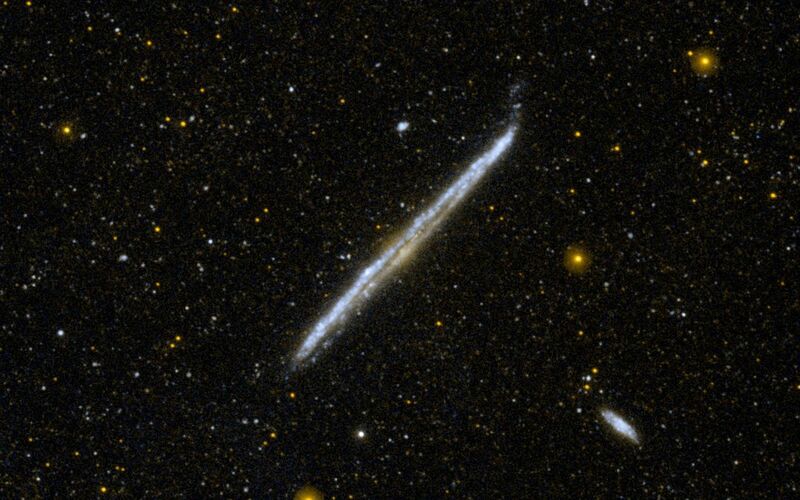 The galaxy is very nearly perpendicular to our own Milky Way galaxy and is situated near the galactic pole. It is more luminous than the Andromeda galaxy, and if our view had been face-on, it would have been one of the most spectacular galaxies in the sky. JPL managed the GALEX mission and built the science instrument. The mission's principal investigator, Chris Martin, is at Caltech. NASA's Goddard Space Flight Center in Greenbelt, Md., developed the mission under the Explorers Program it manages. Researchers sponsored by Yonsei University in South Korea and the Centre National d'Etudes Spatiales (CNES) in France collaborated on the mission. Caltech manages JPL for NASA. Graphics and additional information about the Galaxy Evolution Explorer are online at: http://www.nasa.gov/galex.